When you are in the process of choosing your hosting service, you will most likely find that your hosting provider has many different options and plans available for you to choose from. One of these may be dedicated hosting, and before making the decision to choose this particular type of service, you will want to know more about it. You will probably first start with looking at shared webhosting, but now having the opportunity to choose the dedicated hosting service; you will want to know whether this is the right decision for you. For those that are using shared hosting, you are using a server that is shared with others. When you go for the dedicated server services, your site will be hosted on one server that is dedicated to you. Although you are the only one that is on this server, it still remains the property of the hosting provider and you are basically leasing this space from them. There are many different packages that come with dedicated hosting and you will want to study them carefully to see which one suits your needs best. In most cases, there is software that may be included in the plans that will be offered to you. There are several benefits that come with dedicated hosting. One is that you will find that there is a good range of variety in the packages that are being offered for this type of hosting. As mentioned, it can include a software and you may have the option of choosing a package that has it included. Also, you will find that you will probably have an option to install different applications that may be important to you and also to be able to omit those from your package that are of no value to you. One of the biggest advantages to most web owners, and particularly those that have some knowledge about hosting environment is the additional security that comes with using dedicated hosting. As you are not in a shared environment, there is much less risk of your site becoming infected with viruses that can be of a concern to your business. You will find that you can enjoy the advantages of having much more freedom with your dedicated hosting as well as easy access and control over its usage. Another great feature about using a dedicated hosting service is that if you are expecting to have a great deal of traffic to your site, then you won’t have any concerns with respect to the hosting server being able to handle this. Having root access is another advantage which you won’t get with shared services. You may also find that some of the additional features that come with a dedicated hosting is solutions for your e-commerce site or the ability to monitor spam as a well as use additional scripts. With the server being dedicated to just your website, you have no concerns about what else may be taking place on the server as you do when you are sharing one. You also don’t have to worry about outgrowing your server as it should have the capabilities to handle your traffic and the amount of data that your site possesses. For those businesses that are based in Ireland, their best choice is to use local host providers and there are many that offer dedicated servers for hosting. 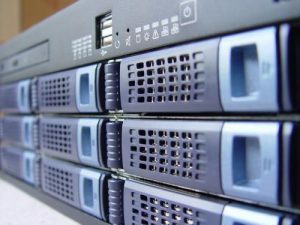 You will want to take your time to look at what is considered as the best, that are most established and offer a great deal of flexibility in the type of dedicated server packages that they have to offer.